Java Lava takes you to Hawaii. Don’t be fooled by the restaurant’s name. 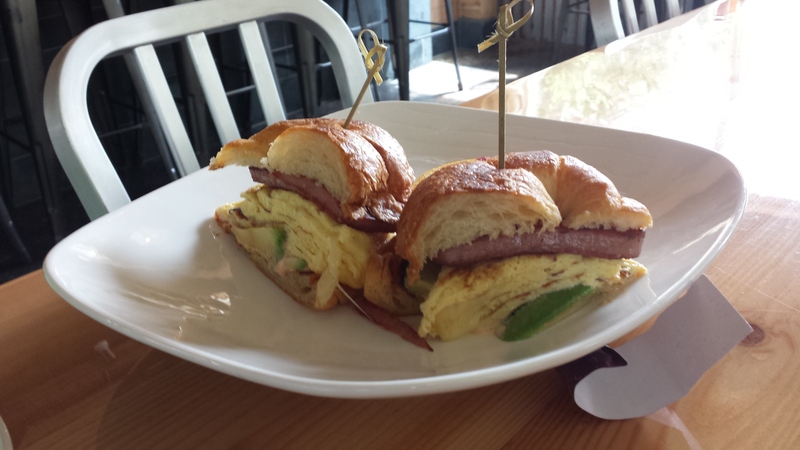 It serves coffee drinks, but also cooks up a variety of casual Hawaiian food from spam burgers to a Loco Moco plate on its lunch and dinner menus. 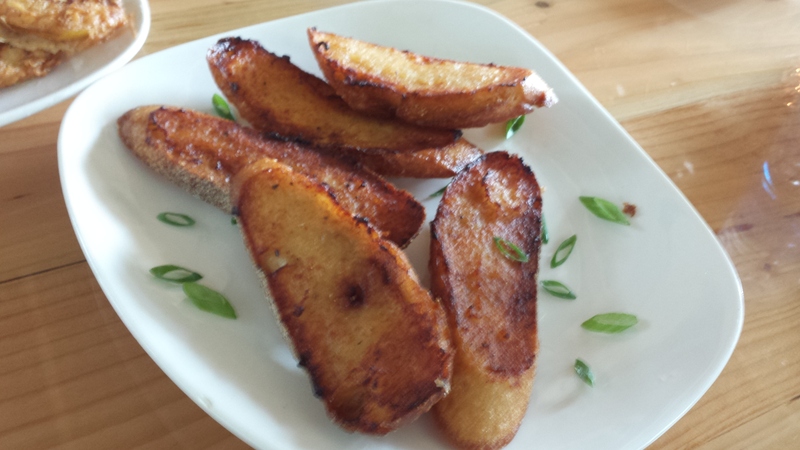 Java Lava also serves Kona pancakes, Java Lava eggs for breakfast and appetizers. 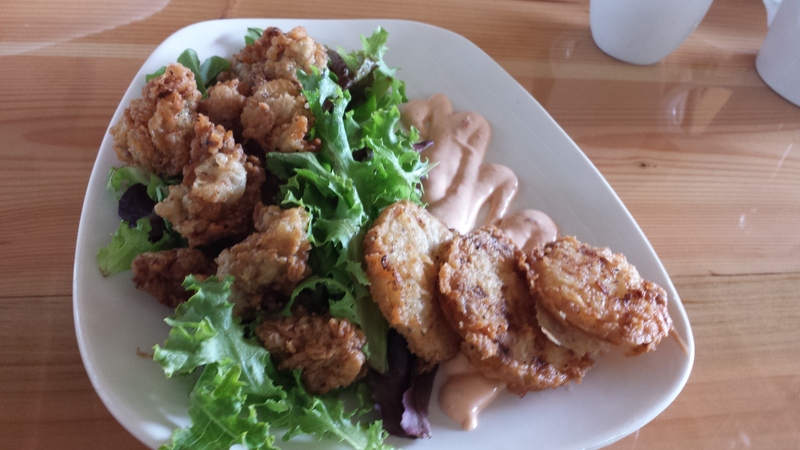 We ordered the Fried Oysters and Shrimp Toasts for starters. 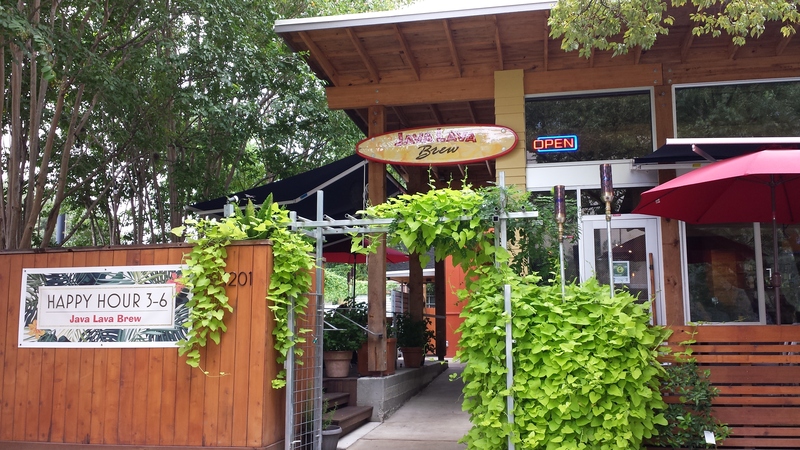 Java Lava has indoor seating for 40 people and outdoor patio seating for 100 people. 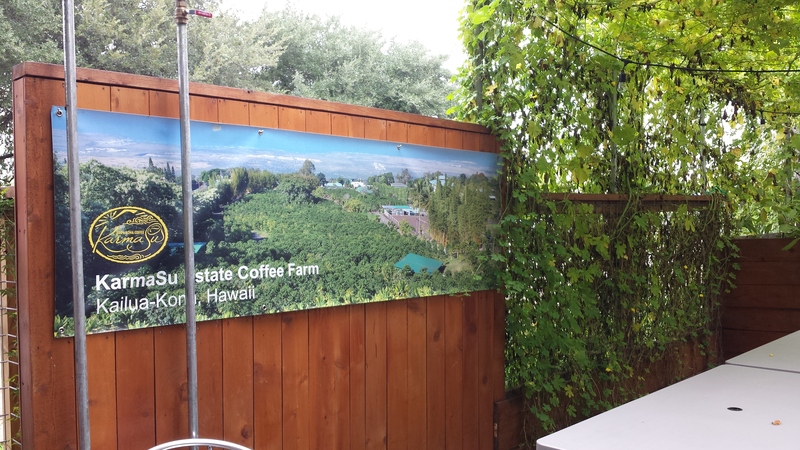 Java Lava’s owner Su Nguyen’s coffee farm in Hawaii also is shown in the shaded patio area. 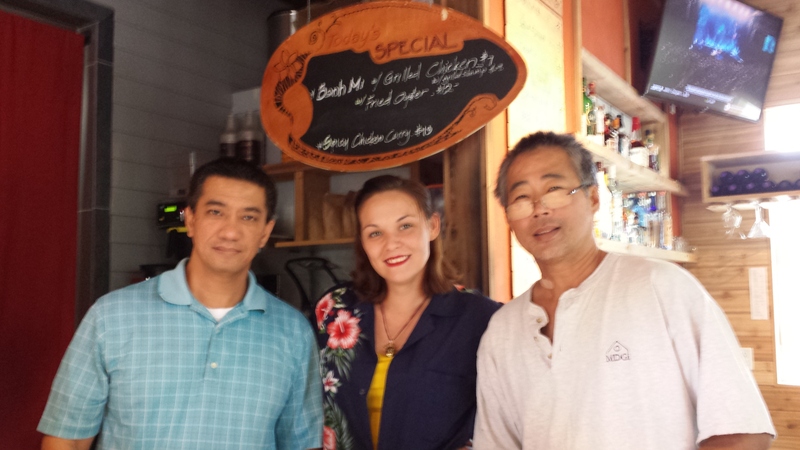 Su Nguyen (on the far right) and his friendly staff greeted customers at this Hawaiian Asian oasis away from busy Houston life. Java Lava Brew has been open for a few months and is gaining customers. It is family-friendly and closes at 9 p.m. The restaurant is located at 1201 Southmore Boulevard, Houston, Texas 77004. Phone 832-831-5652. Our group from Houston, California and Ohio gives this restaurant’s Hawaiian-style food, coffee drinks, service and restaurant a 10 in “Alohas” (meaning hello, love) and 10 “Mahalos” (meaning thank you) for opening in Houston. *Food Tab paid by our party. Menu item prices: $6 – $14. Coffee drinks are $2.90 – $5.20. This entry was posted in Asian Community Houston, Dining, Food, Houston Lifestyle, Houston Restaurants, Houston Texas Dining, Houston Tourism and tagged Hawaiian Food Houston Texas, Houston Museum District Restaurants, Java Lava Brew Houston, Java Lava Casual Hawaiian Food. Bookmark the permalink.